Alvvays released their second album, Antisocialites, Friday, Sept. 8 via Polyvinal Records. With this album, the Toronto-based band has simultaneously deepened and expanded their wistful, summery sound, effectively creating a pop record that succeeds on multiple levels without ever veering into the formulaic. 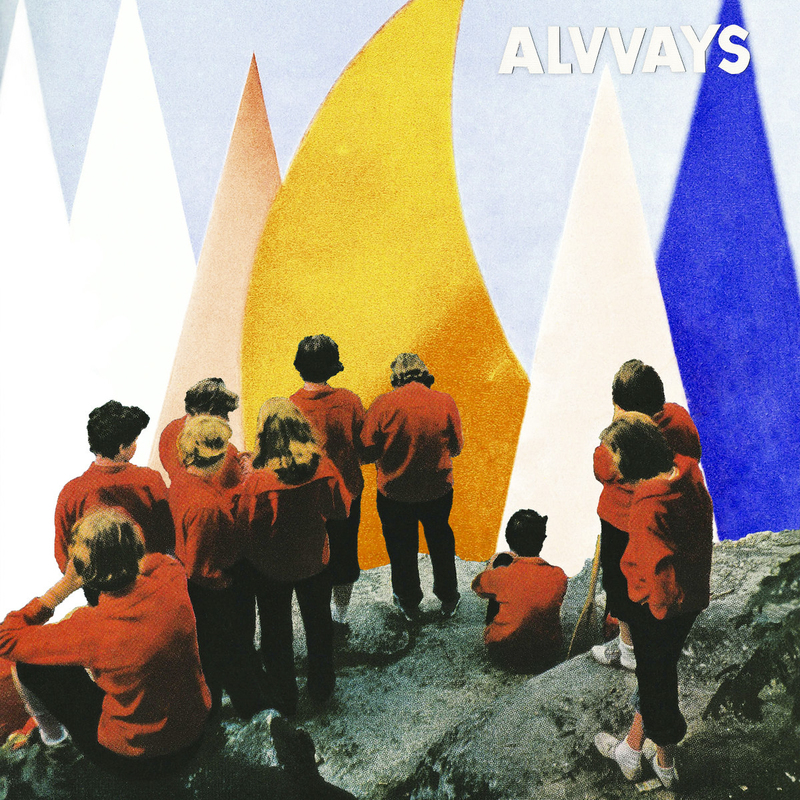 When Alvvays released three singles from Antisocialites over the last few months, it was clear the band was moving away from the carefree effervescence that defined their 2014 self-titled debut album. Polyvinal describes the first single, “In Undertow,” as “a hi-amp breakup fantasy.” The haunting and haunted second single, “Dreams Tonight,” relies almost entirely on the refrain, “If I saw you on the street / Would I have you in my dreams tonight?” The third single, “Plimsoll Punks,” shifts from a negative to a mixed emotional register. Lyrically, “Plimsoll Punks” is loaded with metaphors and imagery designed to capture the affective experience of the aforementioned breakup fantasy: “Who ran from roman candles / Underneath a willow weeping? / Do the tea lights on your mantel / Illuminate that summer feeling? / You’re the seashell in my sandal / That’s slicing up my heel.” Vocalist Molly Rankin’s insistence on metaphor reflects her search for understanding, while the specific images and metaphors highlight her varied feelings. Notice, too, the use of the second person and rhetorical questions, both of which occur throughout the album. These elements reveal Rankin’s desire to have an audience and a conversation partner. In short, she wants somebody to talk to—a relatable feeling for anybody who’s been through a breakup. In “Not My Baby,” we hear Alvvays at their most explicit and most repressed. When Rankin sings, “I’m not really there,” she claims and understates her sense of absence, loss, and mourning. Rankin continues, “And now that you’re not my baby / I’ll go do whatever I want / No need to sit at home with the dial tone / ‘Cause I don’t care.” This is the lyrical equivalent of trying to “win” a breakup by appearing like you’re doing better than your ex on social media. No amount of imagined freedom can rid this song (or this album) of nostalgia and longing. Rankin knows this, and she utilizes looped vocals to literally layer her feelings on top of each other. Meanwhile, “Hey” has a decidedly 80s synth-rock influence, with a cautious but confident shift to a faster tempo. This marks a turning point in the album—not a turn toward positivity, per se, but a turn toward heightened introspection. “Lollipop (Ode to Jim)” is defiantly optimistic and danceable. “Already Gone” is spacious, reflective, and intimate. It has the quality of a lullaby, possibly sung to oneself: “Drain the pool / Summer’s over.” It’s a self-directive to empty oneself, coupled with a reckoning that, even for Alvvays, it’s not always summer. “Saved By A Waif” is a chaotic but forgivable track, and “Forget About Life” is deservedly placed at the end of the album. In the chorus, Rankin sings, “Did you want to forget about life? / Did you want to forget about life with me tonight?” The repeated addition of the clause, “with me tonight,” is crucial: If she wants to forget about life, she wants even more to acknowledge her heartbreak. Here we witness the interiority toward which the album moves: messy, contradictory, honest. Antisocialites is both a project and a process of introspection—the result of reflection and an arc toward greater interiority. Antisocialites builds on the best qualities of Rankin’s early work as a solo artist and in Alvvays’ debut album. Like Rankin’s solo work, Antisocialites features confessional, thoughtful songwriting. Like Alvvays’ debut album, Antisocialites is slick with clean editing and production. The warmth of the former is complemented by the cool of the latter, creating a record that is dense and light, easy to drink but sneakily intoxicating. The main artistic and emotional difference between Alvvays’ debut album and Antisocialites lies in range. Antisocialites is an album rooted in mixed affect—not just across songs, but within songs. Like a breakup, this is an album filled with highs and lows, forcing listeners to look simultaneously backward and forward with a blend of hope, and confusion, and excitement, and pain. This process is empowering for Rankin, and it’s palpable in her self-assured vocals. The real engine of Antisocialites is nostalgia: nostalgia for a past relationship, nostalgia for a past season, nostalgia for a past era of one’s life. Any nostalgia junkie knows that nostalgia is a type of yearning, and yearning is a type of reaching. Antisociailites reaches in many directions—a condition that is charming, and desperate, and relatable. The first song of the album, “In Undertow,” ends with the words, “There’s no turning back.” But perhaps that’s easier said than done.